‘Jersey’ is an upcoming sports drama Telugu movie which stars Nani and Shraddha Srinath in lead roles. The teaser of the movie was released recently and received a positive response from the audience. The makers have now released the official trailer of the movie. The trailer features Nani and Shraddha Srinath along with others. 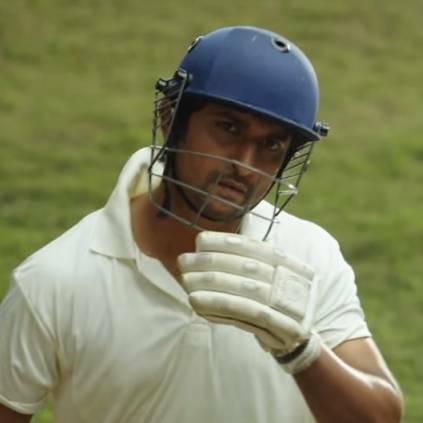 The movie revolves around the life of Nani, who is a cricketer. For some reasons, he quit cricket. After 10 years, he starts from where he left off. Does he make it big amidst the challenges is what forms the crux of the story. The trailer, which is over 2 minutes long is indeed interesting and the cricket portions seem promising and has created the right amount of pre-release buzz. The movie is scheduled for a release on April 19th this year. ‘Jersey’, directed by Gowtam Tinnanuri stars Nani and Shraddha Srinath, along with Sathyaraj and others. It has music by Anirudh Ravichander and cinematography by Sanu John Varughese, while Naveen Nooli has handled the cuts. The movie is produced by Suryadevara Naga Vamsi under the banner Sithara Entertainments. Petta Ft. Padayappa! Moonlight. Music. Madness...Motta Maadi Music Band Performance! People looking for online information on Anirudh Ravichander, Jersey, Jersey Trailer, Nani, Shraddha Srinath will find this news story useful.